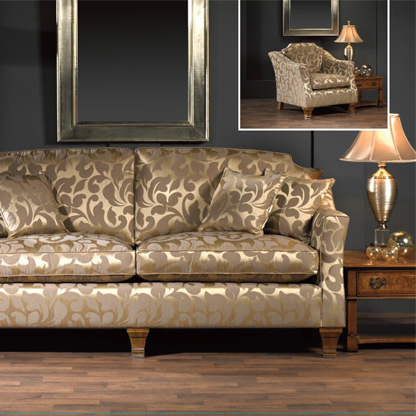 Welcome to our Chatsworth collection: an elegant gathering of the finest Italian damask cloth, crafted in a thoroughly British style. To cater for both period and contemporary interiors, we have selected period colours such as Cannon Bronze, Old English Gold and Ferrum, as well as the modern shades of Valerian and Estate Lime. Chatsworth damasks are ideal as upholstery fabric for period and centre-piece furniture, and with a soft drape they can also be used for curtains and blinds. 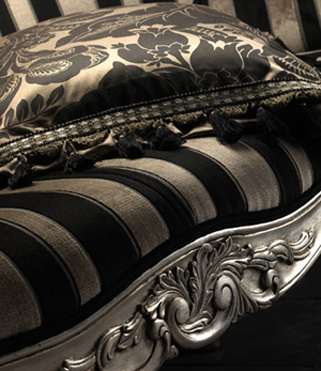 The damask stripes run down, not across, the roll which makes them suitable for curtains as welll as furniture.